If you like CAVOK – do not read this. Should you prefer fog, rain, short landing strips – Alaska is perfect for you. 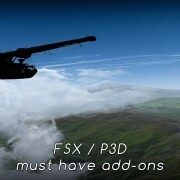 Set up your FSX for bush flying. 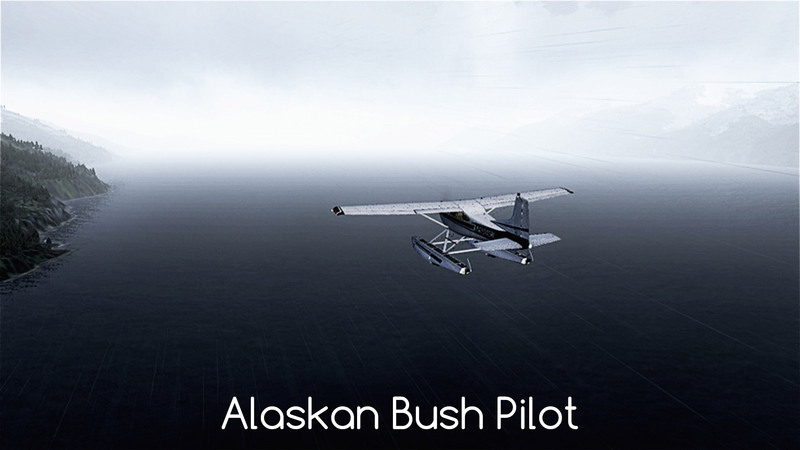 If you want to fly over Alaska as a bush pilot – there are a few basic add-ons that you need. I will describe some of them – especially the ones that I use most frequently. As there are no reviews for this add-ons on C-Aviation.net – let me assure you that I can honestly recommend them and I think of them highly. There are also several freeware add-ons created by Return to Misty Moorings (a.k.a. RTMM) community. Two FTX and Tongass Fjords sceneries cover the Pacific coastline from Oregon to Kenai Peninsula in Alaska. This sceneries include the terrain, scenery objects (for example LORAN antennas), improved airports and additional airports and landing strips. PAKT, CYBD and CZST are the payware airports for Pacific Fjords scenery. This are top quality airport sceneries and I strongly recommend them. 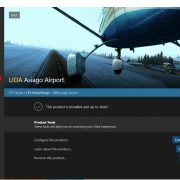 There are several Alaskan airports by ORBX that I do not have (but I wish I had them) – you should consider them too. RTMM brings small sceneries – landing strips, jetties in harbors, mountain huts, hotels and lodges. There is also RTMM AI Shipping Project that brings maritime traffic to Pacific Fjords and Tongass Fjords. If I had to choose – I would go with one of the area sceneries (Pacific Fjords, Tongass Fjords or Southern Alaska) together with RTMM freeware sceneries. 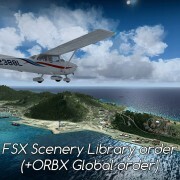 If it is not a problem and you can afford it – buy one of ORBX airports for this sceneries too. Ketchikan is in my top 3 favorite sceneries in FSX. At first you need to install libraries. It is a complicated process and I strongly advise you to read all readme.txt files you will find in RTMM packages. I will not describe the installation process here as the libraries are frequently updated and it could be misleading. 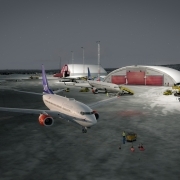 You may need FSX Acceleration or FSX:SE to see all objects. If you have SP2 version – some may be missing – it should not cause any serious problems. After libraries had been installed I moved to the A.I. Shipping Projects. To download it – press RTMM Shipping icon in “Automatic Download for all four areas…” section. I mention this because I struggled to find the download button. A.I. Shipping adds some very nice ships and their routes to coastal areas of Alaska and British Columbia (Canada). There are more traffic add-ons in Enhencement section. I installed all apart of add-ons replaced by A.I.Shipping. I chose sceneries located close to Ketchican (PAKT) that is my main base in Alaska. Both “RTMM Sceneries combined” folders contain scenery files for several RTMM locations. I combine them to avoid having tens of sceneries listed in my Scenery Library – it was a tiresome task to turn them on and off. Each scenery should be tested! It is very important because with the number of sceneries you may end up – some will cause performance issues. It is better to take 5 minutes and make quick tests. That is why I have this “RTMM scenery test” folder. Once the scenery is tested I move it’s files to scenery and texture folders of RTMM Sceneries combined north or RTMM Sceneries combined south. Currently I use two folders. Probably after next FSX reinstall I’ll go with three (one for each area scenery). You might have noticed scenery_list.txt file in each of this folders – that is how I keep track of what is installed. I have a backup copy of this list in a .xls file also – just to be sure and to know where I can fly. I know that you may have skipped this boring text about testing. So let me say it once more – some of this sceneries will kill event the best PC. You should not use them. It is much better to spend 5 minutes on tests then end a flight because of OOM error after 2 hours in the air. These are just examples of what you can choose. There is also a good Cessna 182 from A2A and recently I spend a lot of time flying A2A Comanche over Alaska. 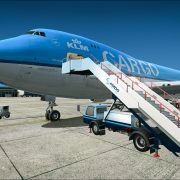 In terms of realism – think of an airplane that you would take to a place where a stone can hit it on takeoff or landing. It probably will be a high-wing plane (although it is not a rule) with a strong undercarriage. There are others – this are the planes I flew here and I can recommend. The order of this list is random (in fact – my favorites are the Twin Otter and Piper Cub). I LOVE (!) to fly VFR over the United States because of their sectionals that are available for free on websites like Skyvector that allow me to draw my route directly on a map and calculate magnetic headings and even the leg times. Skyvector also shows weather data (METAR messages and TAF forecasts). There is also a layer showing wind force and direction. It is a great tool for flight planning. Google Earth is a good tool to keep one more list of your sceneries. 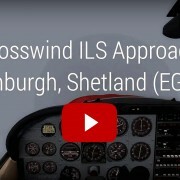 You can download FTX scenery information for GE from ORBX website and there is also GE file for Tongass Fjords included in the documents of this scenery. In case of RTMM sceneries – I place pins on GE map to know where this sceneries are located. Distance measurement tool in Google Earth will show distance and heading – I often use GE to find my way. If you do this – remember to calculate magnetic heading from the true heading that GE gives you.